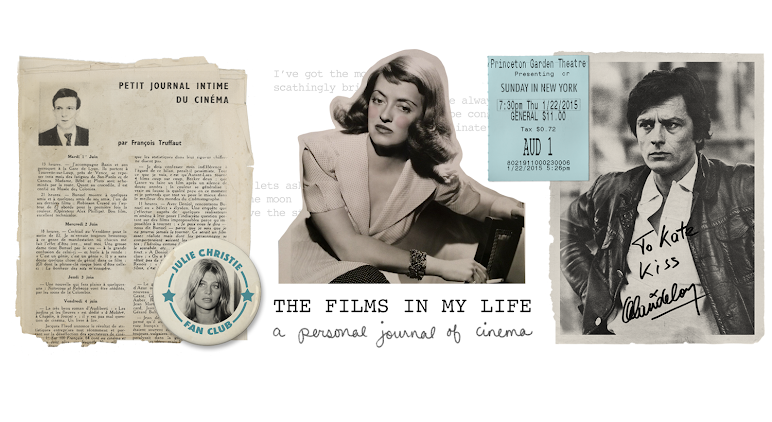 The Films in My Life - a personal journal of cinema: The Title. I've noticed a trend in recent movies that involves very, very simple dramatic titles. They're usually either one word-- like Saw -- or one word preceded by an all-important THE, giving it more weight and tension -- The Town. The American. It's trickled into television too, with the premiere of a new tv show called The Event (you're already wondering what The Event is now, aren't you?) It's a great gimmick for getting people intrigued and curious. The Tourist. Ooh, what about this tourist? Does something maybe happen to him on vacation? Inception. Avatar. Devil. Buried. The Switch. The Takers. I could go on. Short, blunt monikers have existed as long as there have been movies around to title. Greed, The Letter, The Innocents and Dracula immediately spring to mind, but it's definitely become more of a trend during the last decade or so. While the overwhelming amount of remakes and pitiful lack of new, inventive scripts leads me to believe that the simple titling is a reflection of Hollywood's laziness in coming up with creative new material, I actually think there's a different more unsettling reason. Most movie-goers are looking for a two-hour thrill, and they won't be pulled in to theaters unless the title invokes a sense of intrigue, mystery, suspense heavy drama or gore. 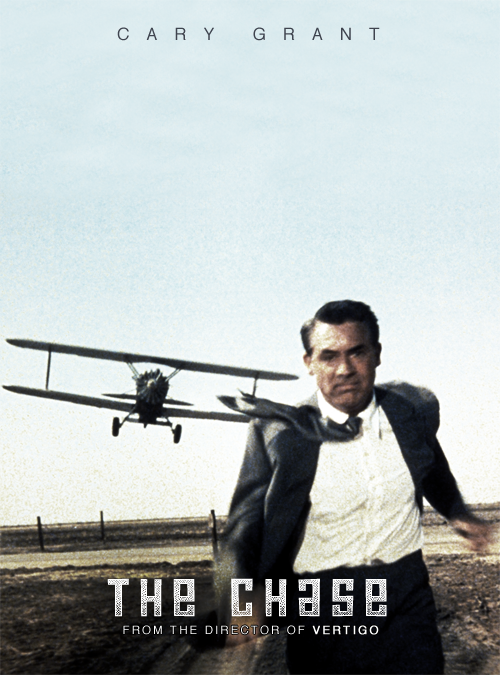 And this got me to thinking... if classic movies had been titled by today's movie makers, what would they be called? LOL! You have a point there, it's true that now they don't even try to make interesting titles :) Great work, my fave is "The American". These are fantastic! I just can't believe how spot on and perfect they are. You have mad skills, Kate! I think "The American" is my favorite too. 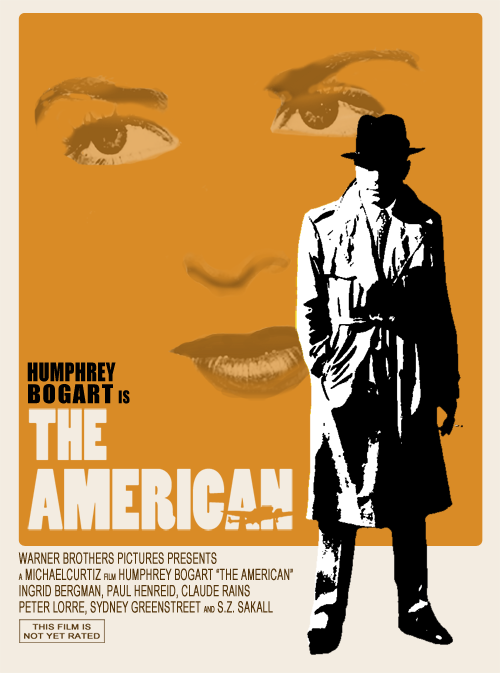 The poster for the new movie has a bit of a classic era feel to begin with, and it really makes sense for Casablanca. Wow!! This post is fantastic!! I love all of the movie posters you created. Very good point, as well. You know what this reminds me of? A line in a Cole Porter song: "good authors, too, who once knew better words now only use 4 letters words writing prose." No, but really. We have grown a little more fast-paced as a culture and you're totally right about our movie titles (and our movies) reflecting that. It's too bad really. I actually don't have a problem with the whole one word title thing. But I do wish they'd be more creative about. 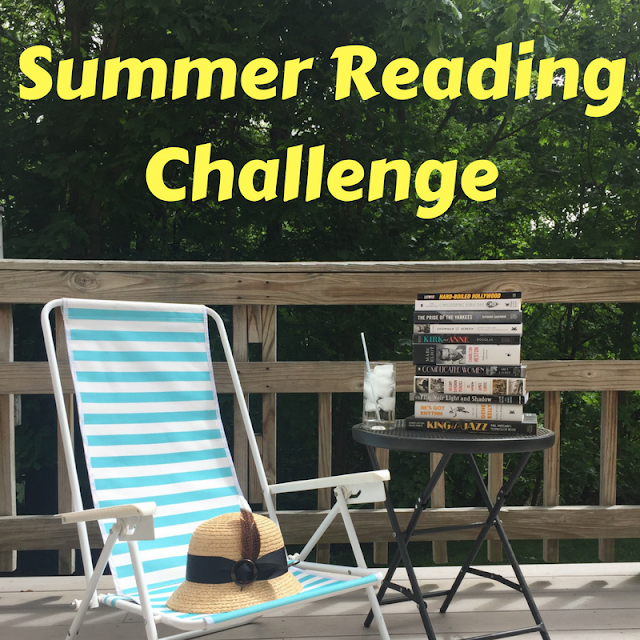 For example: The Philadelphia Story. You can learn absolutely nothing about the storyline from that title but when you watch the movie, the title falls into place and it fits! Midnight being another. The movie is basically a Cinderella story but you have to get pretty far into it to understand how. I think these titlers should challenge themselves to title things in ways that won't nutshell the movie so simplistically. Very funny. 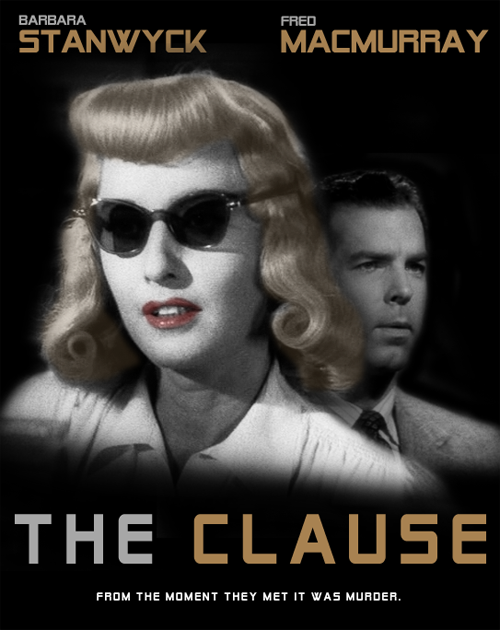 I love "The Clause" and "The Prognosis" especially. Some of those classic film titles were pretty vague, like "Dark Victory." I love when TCM schedules a day of films with some similar word in the titles, like "Tomorrow" or "Lady." They run the gamut in catch-all murky meanings. hmm the prognosis. i wonder what this prognosis might be? ;) v. interesting post and loving the posters you made. This is pretty much my new favorite post ever. No, I'm sorry, I have nothing coherent to say about this brilliant post. 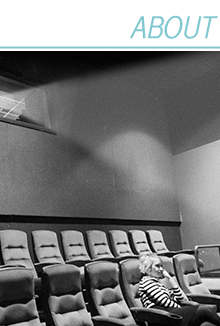 Citizen Kane would become 'Kane', or 'Rosebud', or even 'The Millionaire'. Something like that. OMG these are so clever! I cannot even handle it! LOL. I think you've proven that the titles of old are better than the simple, dramatic titles of today! 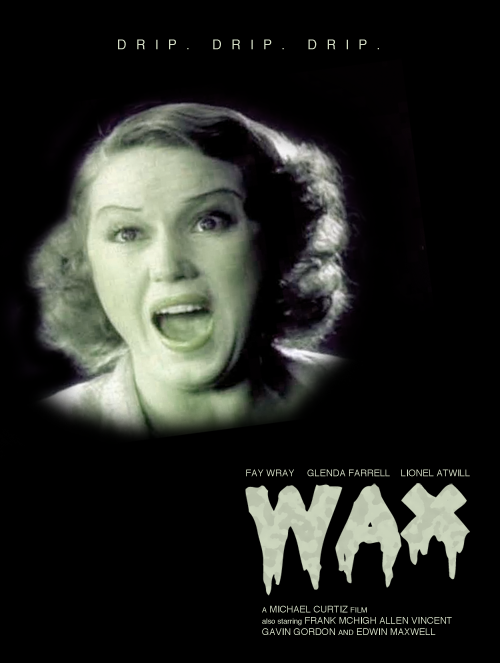 The only one that you came up with that I really liked was Wax--that would be a good title for a movie! Of course, here I must note that when Mystery of the Wax Museum was remade in 1953, it was simplified to the more dramatic House of Wax! Awesome Kate, I nearly spit my coffee out for The Prognosis ... if there's ever a remake I'd lay money that's what they'd go with! It's also the antithesis to those sentence-long titles in the 1960s. Nothing to add really but yes: brilliant! Love The Prognosis, and Wax. By the way, I though I had your address but it seems I don't. I'll get another of your masterpieces to you if you drop a postal to matthewconiam@aol.com. Wow, Scary. 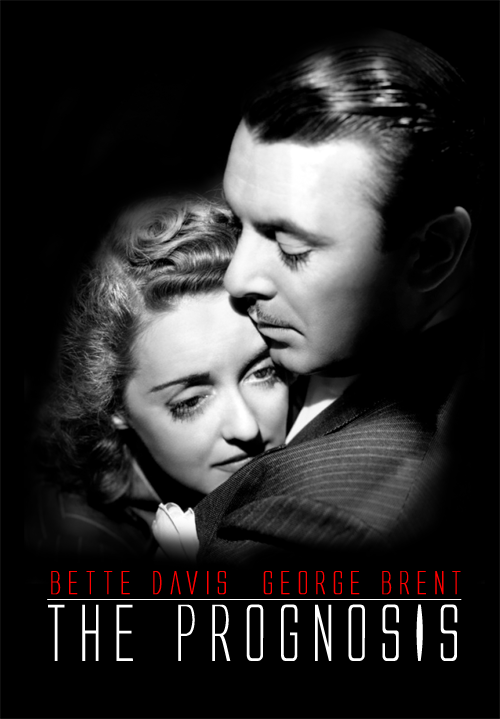 I wouldn't have touched Dark Victory with a ten foot pole if it had been called "The Prognosis "(but if it still had Bette Davis in it I wouldn't be able to resist!). Maybe All About Eve would have been called "Eve" or "The Obsession" *shudder*. Ha ha! So true. I went to see "Devil" today and saw previews for "Red" and "Unstoppable." Haha, this is brilliant! I can't think of any myself...nor can I think of anything else to say but that it's a fantastic post. Was my comment deleted off here? Wow! I can't think of anything else to say but the same things everyone else has said....These are BRILLIANT!! I love them all, but I do think The American stands out as the extra brilliant one. Love them all! !